A well selected canvas art print is something to be cherished for a life time by someone who may seem to have everything. They make wonderful wedding presents, birthday presents and anniversary presents, but also make for a great gift on Mothers Day, St Valentines Day, or any other special occassion. You need to think about the personal taste of the person. How do they dress? are they conservative or bold when it comes to clothes and hairstyle? Do they wear clothes with bold colours and patterns or do they prefer plainer colours and more classic styles? If they are fairly conservative then go for an abstract in two or three key colours. If they are more out going then consider some colourful and flamboyant pop art or a retro geometric design. Maybe they drive a mini, love dogs, or they're a huge fan of Madonna, if so go for a design with a very personal theme, such as a stylized celebrity portrait. What do you know about the décor of their home? Think colour, themes, patterns and style, and consider what type of art will fit in well? Remember, the personal style of the person could actually be very different to that of their home. Consider that the canvas art is going to need to fit in with their interior design, and not their wardrobe. Often people have homes that are decorated and furnished very differently from their own personal style because of the other members of the household. This is more often true with men, but also women. What space do they have available for the canvas art? Once you have decided on the style of the canvas art that you are considering buying, you need to be sure that the recipient has the available wall space on which to hang it. Is there space available in the room that the piece would most suit? Establish how much you are prepared to spend and look at the size of prints that fall within your budget. Remember size does not really matter when it comes to choosing canvas art. The recipient is far more likely to appreciate a smaller piece of canvas art that meets all of the previous requirements, rather than a larger piece that you felt made it appear that you had spent more money. Does it need to be a surprise gift? Remember, you always have the option of asking the recipient for their opinion. 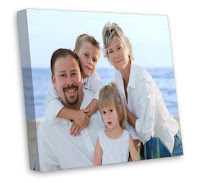 You can do this discreetly or directly, depending on how much of a surprise you want the gift of canvas art to be. Often it is better to check with them (or their partner/spouse) that it is something that they would really appreciate, rather than buy the wrong gift. If you think a canvas art print would make a great gift, but are struggling to choose a design then consider giving a gift certificate instead. These are available to suit all budgets. TIP: Worried about how to gift wrap a large piece of canvas art? Well don't wrap it, instead take a photo of the piece, put it into a box, and wrap that instead. Then simply present them with the canvas art after they have opened the box. This is also a great idea if you are handing over the canvas art gift at a wedding reception or party. Russell King is the founder of Canvas Etc, a small company based in Yorkshire, England that specialises in high quality, limited edition canvas art prints. For more helpful advice on choosing canvas art for your home please see the Canvas Art - news & articles section on the Canvas Etc website. You can also get a really nice piece of Art from Canvas on Demand.